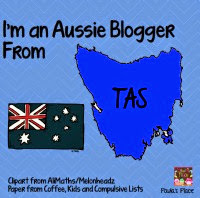 As some of you may know I have recently started subbing or relief teaching as we say in Australia and this has been somewhat of a new experience for me as I have been a full time classroom teacher for the last 15 years. One thing that has struck me is the amount of comments I am getting from teachers and administration that it is "hard to find good relief teachers." I find this extraordinary, why is it hard to find a relief teacher that is deemed as "good" and what exactly constitutes a "good" relief teacher/sub. I have been thinking hard about this and I have come up with a list. This is both from my experience as a relief teacher and a full time classroom teacher, so here goes. Be prepared- there will not always be a plan ready for you so have something up your sleeve to run with. Don't just give the kids busy work- some teachers have limited photocopying so I try to limit the amount of sheets I take into a classroom. Always offer to do playground duties and take other classes when your class has a specialist lesson- I have been VERY surprised to hear that not all relief teachers do this! I cannot imagine why you wouldn't, I know as a classroom teacher I always appreciated having a day off from duty or gaining some extra planning time. Make sure you finish what you start- Plan short and easy lessons that will keep children engaged and that will be finished and complete in one lesson, there is nothing worse than coming back to the classroom to find unfinished work. Mark and put away all work for that day- this is self explanatory really. Scan for information- take a look around the room you are in and hopefully you will find out what the class has been learning about or what their focus has been about. I always try to link any lessons back to what they have been learning about. Talk to the children- they are a wealth of knowledge about what has been happening in their room. Try to be consistent- most schools will have a sub folder or information about the class for the relief teacher, take the time to look through that and familiarise yourself with behaviour management, at risk children and timetables. Always leave a note or plan to let the teacher know what you have done for that day, it is important for the regular teacher to know if there is anything they need to follow up on. Finally leave the classroom tidy and clean......even if it looked like a whirlwind had gone through it when you got there! I guarantee you by following this list you will be asked back again and again. A big thankyou to Mel @ From the Pond and Stef from Miss Galvin Learns for the graphics and super star font. Good tips - when I have a sub that does all of that then that makes them a keeper! Great tips Tania! It all sounds like common sense, but not everyone does it!